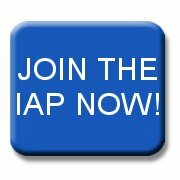 At the IAP, we’re very conscious of the difficult times many of our members are experiencing at the moment. This is especially, but by no means exclusively, true of those who rely on short-term contracts and so we’re always looking for ways that we can help our members obtain new positions. The IAP’s conferences are not just excellent sources of information, they’re also superb networking opportunities. We are therefore making a special offer to any member who is currently unemployed and seeking a new post. You can attend the Autumn conference absolutely free of charge. Come along and meet plenty of senior IT people! Contact Anne Harding in the IAP office (020 8 567 2118) to book your place. I’m sure you’ll appreciate that we can’t make this offer to indefinitely many people, so please telephone Anne as soon as possible and, in any case, before 8 September. I look forward to seeing you at the conference.